The path to building a strong creative team with whom you would like to work and grow together can be long and difficult. But it can also be surprisingly quick if you know exactly what you’re looking for. I have had the pleasure of working with many Makeup Artists (MUA, short for Make Up Artist) around the globe by now and I think it’s safe to say I have become pretty savvy in my “identification process”. Typically you need to “test” (do a test shoot together) with a creative professional to find out whether or not he/she will be a good match for you and your creative team, but testing maybe a waste of your time (not only the day of shooting but also the retouching time of the images that the team will be expecting from you) if you don’t see red flags before the shoot, or if you didn’t quite get it the first time you tested with them. 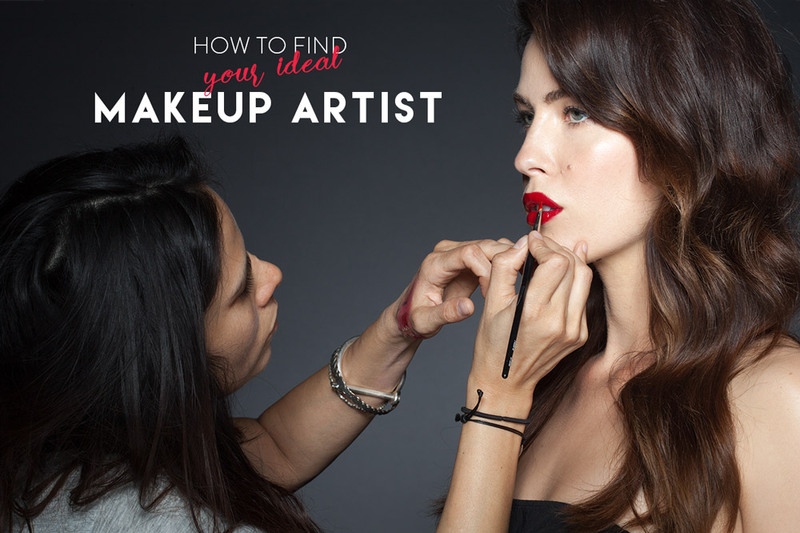 So, what are the signs of a great Makeup Artist? Just like any other professional, a Makeup Artist should possess great communication skills. I personally can’t work with artists who are difficult to get a hold of, who don’t respond to my message, email or a voice mail within a day, who think it’s Ok to text or call me past 10pm with non-urgent stuff (there’s email and Facebook messaging for that, much less intrusive). We live in a very fast world now, and in photography, when a few people are involved in planning a shoot, you can’t be sitting around and waiting for anyone for too long. 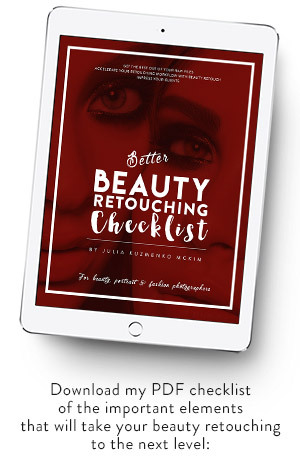 While I totally understand that a working MUA might not have a chance to see their incoming messages and calls and respond in a timely manner when they are busy working on another photo shoot or event when you’re seeking contact with them, somehow my most favorite creative professionals manage to be super responsive… so it is possible. I have been fighting with my personal tendency to be 5 minutes late almost to everything (except air travel, somehow) ever since I remember identifying it as a problem for a professional. I know it still happens, and I don’t give up, I use various mental hacks and tricks to make myself be on time, better yet be at the destination 5 minutes before the call time. It’s especially important in a big city like Los Angeles, because wherever you’re traveling to there will be at least 5-10 minutes parking search before you can leave your car. So, I acknowledge that being a little late can be almost in the DNA of a person, thus I don’t care when a creative professional shows up 5-10 minutes late. But when it is 15-30 minutes, that is going to be a problem. Again, the top Makeup Artists I am blessed to work with are always there 10-20 minutes before their call time (which makes me want to work on myself further and be just like them). What products a MUA is using and how he/she packages them and keeps them clean and in order is a huge sign for me of how professional and how good he/she is. I don’t want to make it sound like if a MUA isn’t using makeup of top cosmetics brands then they are not good, but it is actually kind of the truth of the reality. 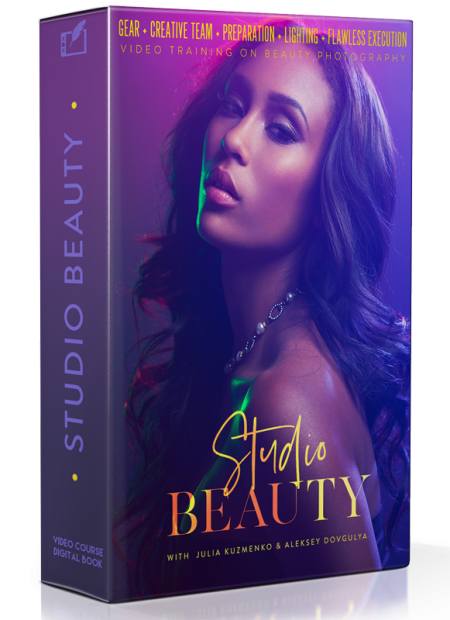 A Makeup Artist may have a massive talent and masterfully apply makeup, but if the products they use are not of top quality, so will be the results. These days it is not some secret knowledge as to what products are preferred for what type of look. If a MUA stays current on the industry news, reads unbiased product reviews, follows top professional Makeup Artists’ blogs and does his/her research, the contents of his/her kit will reflect it. The other very important detail for you to pay attention to is the way those contents are packed and sorted in the MUA cases and how they are laid out for the shoot. Not only everything must be clean off loose makeup, it is ideal if every set of brushes, eye shadow containers, lipsticks, etc. is carefully packaged in clear makeup pouches. From my experience, an OCD-type cleanness of the kit is a good sign of a top professional. And it’s not only the self-discipline of the creative professional that is tested here, it’s also very important because while we’re taking pictures without any physical contact with models, MUAs are touching models’ faces with their hands, their tools, apply their products onto the skin, and all of those things must be super clean and good for use (imagine a 3-year-old foundation rubbed into the model’s young skin). You may catch a glimpse of how beautifully clean and organized the Makeup areas are in some of my video BTS when I’m shooting with my favorite Artists. a) QUALITY OF THE PHOTOGRAPHY. I am looking at the quality of photography first. If the imagery in the portfolio of the MUA you are planning to approach (or they have approached you) is of poor quality, it may be a sign that they have never shot with good strong photographers, so they may not even know what it’s like to work with one. Your experience with them may be good, but it can also be a whole bunch of surprises and mostly unpleasant. The other thing to consider is the MUA’s visual taste. If they have put all of the images that you find of poor quality on their website, then they most likely consider these images good, which is a clear sign of their visual taste. And their visual taste is what dictates all of the creative decisions they make when planning looks and applying makeup for a shoot. b) TYPE OF PHOTOGRAPHY. Then I look at the type of photography in their portfolio in general. 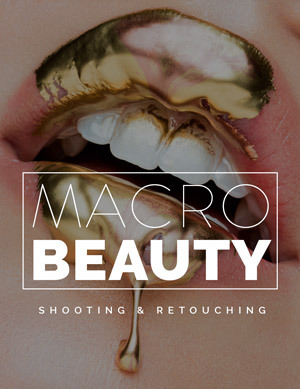 If I am planning to shoot clean beauty closeups with this MUA and all I see in their portfolio is outdoors fashion photography, for example, or super colorful, “costume-y” makeup, then they may not be a great choice for what I plan to shoot. It’s like with all other creative professionals, every Makeup Artist has their own skill set, and while some may be able to pull off almost anything, they usually can be brilliant in one or two things only. It’s like a professional baby photographer would struggle shooting an edgy fashion campaign. c) QUALITY OF THE MAKEUP. And if the first two aspects of the MUAs portfolio “pass”, I carefully study the makeup in the image. 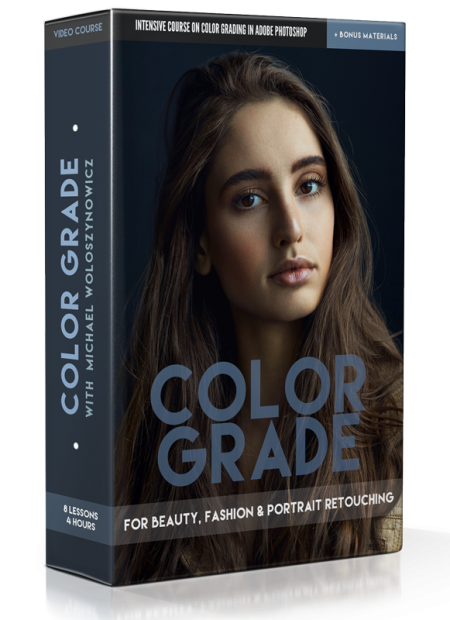 This is where you should stay very reasonable because post-production might have changed the colors and the application of the makeup for better as well as for worse, so the final look might be deceiving. I typically look to see if I even like the choice of makeup, the colors, etc., keeping in mind that sometimes the MUA only executed the Art Director’s/Photographer’s vision, but he/she wouldn’t end up adding something they don’t like to their portfolio, so it still demonstrates the MUA’s choice. 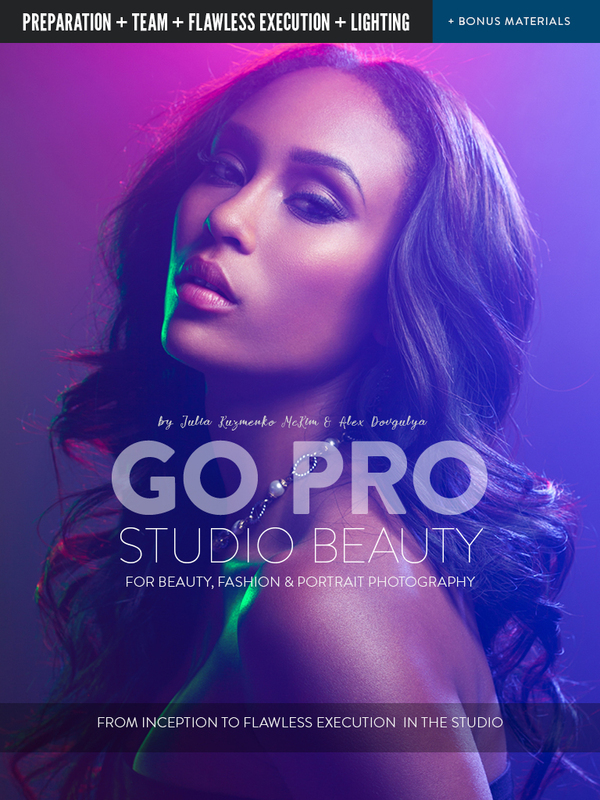 Very often a Makeup Artist will turn to the photographer for artistic direction of the shoot. It’s a big part of the MUAs profession to be able to execute someone else’s vision, and the closer they get the look to what their art director/photographer/client envisioned the better. But sometimes when we’re collaborating on a project, I really want the MUA to be involved in planning the looks just as much or even more than me. Even though being a Beauty photographer it is my job to be in the know on current trends, what’s in, what’s out, what can be combined and what not, I am convinced a Makeup Artist must be 10 times as knowledgable in these details. I want the MUA to understand and correct me when I am going for an editorial look, but the makeup I am suggesting isn’t going to “read” as editorial in the images. I also want the MUA to listen to what I have in mind and make suggestions as to how to improve my idea with little tweaks. It is pretty draining and unsatisfying to me, when we get together for a creative collaboration and the MUA is looking at me for complete guidance as to what colors to apply, where to apply, how to apply, etc. 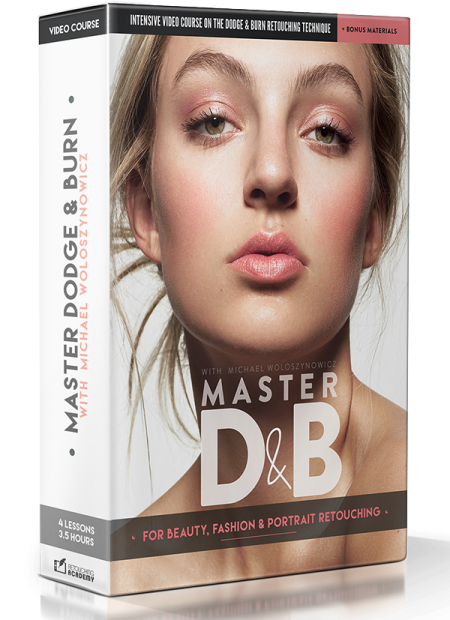 When it comes to skin work, which is one of the fundamental skills for any Makeup Artist, it is as easy as this: the skin must look flawless in the images straight out of camera. It’s only when you zoom in and study the image you may find what to retouch, but at a first glance the captured images should look like they don’t even need any retouching. DEWY SKIN. I personally love fresh, youthful, dewy look of the skin, but it is only after I saw it done badly I realized how difficult it must be to execute. From what I gathered from my favorite Makeup Artists it is best to apply less or no foundation at all than cover the skin up with foundation and/or powder. The skin should be prepped, exfoliated, moisturized and then with their magical touch it becomes glowing, which is very different from a sweaty, oily looking skin. And if the MUA you are testing with attempts to do “contouring” – well, my friend, good luck with that. It may be a trend among self-proclaimed Instagram beauty experts, but professional Makeup Artists do not do that for photography, period. This is probably one of the most important parts of your assessment. Everything else may work out fine but if, for whatever reason, you don’t feel comfortable with the person during the shoot, it’s probably wise not to continue working together. It’s almost like a marriage: small details that irritate you slightly on the first photo shoot may grow into a big nuisance, drive you nuts after a while and, as a consequence, reflect in the images. And the opposite it true too, if you absolutely love working and creating with a MUA, then any problems can be solved together. After I initially published this article, I asked my favorite artists to see if there’s something that I might have missed and Lupe Moreno added this very valuable point! What she meant by “Lazy Artist” is that if the Makeup Artist you are testing with is busy playing with their phone somewhere in the studio instead of being hands-on, helping you on set and scanning the captures for potential issues that he/she can fix right now, you will most likely be better off without this MUA. A professional Makeup Artist knows that his/her job isn’t done once the model stepped on set. Lupe and I always take a few test shots once I adjust the lighting, then we stop and inspect these test shots in detail, zooming in and looking at the eye makeup, brows, eye lashes, lips and overall skin to spot any problems to fix before I even begin to shoot. Often after checking out the test shots, Lupe comes into the set and adjusts the colors or some makeup details if what she had in mind translated slightly different under the strong flash lights. A great professional will stay by the model, right out of the frame, and keep the details that the photographer may not notice in check. If there are a couple of models that you’re shooting with and the Makeup Artist must attend to the other face while you’re shooting, he/she will make sure to check everything at the very beginning of the shoot and jump back in to check on the model’s face every moment he/she can. 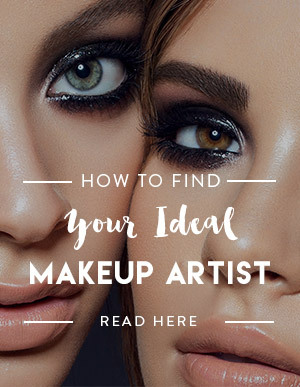 Of course, at the end of the day, we often have to compromise and something might not be ideal, but being aware of these elements that help strengthen relationships with Makeup Artists should help you save time when searching for your ideal Makeup Artist. Featured image: BTS, Elizabeth Ulloa applying lipstick on Bridget of Osbrink Models on set. Great post. As a makeup artist in a small town I’ve really struggled to get images that I like. 1. My work not being perfect yet as I’m quite new 2. Haven’t found a photographer that does beauty images and edits them well. It’s really frustrating to the point where I wonder if it is ask worth doing sometimes. I’m glad you found Lupe. I can only aspire to be as good as her at this point. Hi. Great article on general but a couple points in here are just actively incorrect. Firstly about the quality of makeup: of course bigger brand names tend to be more impressive but if a makeup artist is using a lesser known or even a drug store brand you might want to consider there being a reason. I have worked in photographic makeup for over 10 years and I’d say half my kit is drug store because I have found those products to be just as effective of not more so than their big brand counterparts. Why should I pay for a label when it doesn’t give me better results? Secondly on contouring. Yeh it’s a pet peeve of mine that instagram seems to have monopolised it jn a way that only ever shows it heavy and cake, but contouring is a ligitimate makeup application used for years, and frankly I’ve found it almost always necessary in photography (to what degree varies). So yeh, to say a good MUA won’t ever use contouring at all is absurd. What a good MUA won’t do is use contouring like you see on instagram. Thank you for your input, R.XL! I totally see how there can be different opinions on any of these points, but I checked with MY favorite makeup artists, and they all confirmed that they agree with every point I listed. That is all that matters to me. I did not make any of it up, if I mentioned contouring, that’s because we discussed it multiple times while working in studio. I personally know the quality of work and products that the artists I work with use, so I will stick with my initial opinion, and it is totally fine with me if you believe those things are incorrect – they are correct in our little circle, and my job is to share what WE do here. I’m on the look out for a good makeup artist right now. 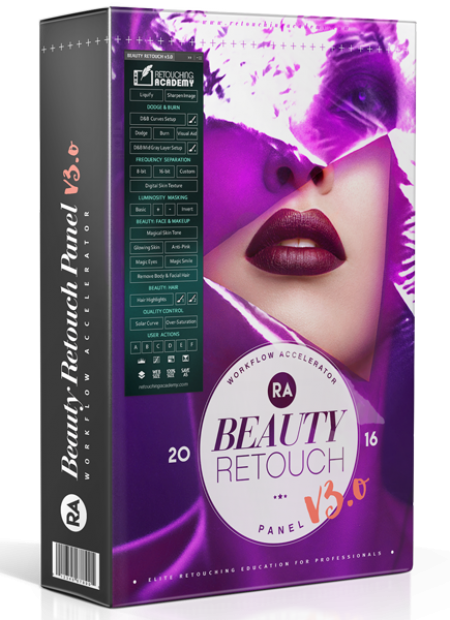 I have one that I will be testing out soon, so hopefully she will exhibit all that is wanted in a good MUA. Great article, thank you for this. I’m not sure if there’s one about hairstylists, and if not, it would be great to hear about that as well. I hope to collaborate with my Makeup Artists and compile a similar article on what MUAs are looking for in photographers. I think it’s very valuable for all of us to understand each other’s needs and wants, so there’s no miscommunication and incorrect assumptions 🙂 Once it’s out I hope to hear your thoughts on that as well! Enjoyed this article. I’m a MUA in Slc, Utah and it is tough finding experienced photographers to grow your portfolio the way you like. I have a mix of everything, but would like more fashion forward close-ups. Growing your kit is pricy. I have more well known brands than not. Investing in great foundations and concealers is a must for me. Also tough that I am not hair savvy. Hope to build an awesome team in the future. Great read! Thank you for this insight! I am a makeup artist (started out in MI but recently moved to SoCal to grow my makeup artistry) I am always looking for ways to better myself on the artistic side but it’s always difficult to know what beauty/fashion photographers are looking for in a MUA when they don’t communicate regarding those things. Again, thank you! Great article, as always you do, Julia!! : Really love your work, your articles, are a great inspiration for me. So, as a MUA i just hope to find a Beauty Photographer like you in Argentina!!.. Here it´s very difficult to understand the MUA and the Photographer as a team..Thanks! Thank you Connie! I think it happens on a personal level, it doesn’t have to be “a trend” in the region. You will know when you mean “your Photographer” 🙂 Good luck!! First of, thank you for this article, it has been really helpful and I love your work! I have a question on the part where you talk about the products a makeup artist should use though: How do you comment on the fact that the truly iconic makeup artist like Lisa Eldridge, Val Garland, Mary Greenwell etc will use drugstore products mixed with their high end ones? I’ve been pretty much copying their kits, and I’d hate for a photographer to “discriminate” when I know that a product performs well above it’s pricepoint. Thank you for your kind words! As I am a photographer, and not a makeup artist, I can’t really give any suggestions on that, that’s why I had to ask my colleagues to help me out with this article. But as a creative professional, I know that it’s not the manufacturer or a price point that matters for any product, but how it does its job for a specific purpose. If a foundation is great for covering up the blemishes and is best used for appearances and “Red Carpet” events, but messes up the look of the skin texture in photography, then it’s just not good for photography regardless of its price or brand. And vice versa. I enjoyed reading your post! I already done some editorials and tear sheets as a makeup artist here in the Philippines. I agree with you that the two parties should have communications to have great results. I think, we as a member of the team should be cooperating with the photographers, especially if there’s theme in a specific shoot. Thank you so much for this post. This will help me for my future projects!